I have just had the second book of my second series for children published. It feels like a bit of a milestone. It's called Dragon Amber, and it's part of a multiple worlds adventure trilogy that started with Deep Amber last March. The cover's lovely, as all of them have been (thanks to David Wyatt), and there's nothing quite like holding the physical copy of your new book in your hands (or even clutching it to yourself as you do a little dance...!!) But it being the second book of the second series made me stop and think. It's my sixth book to be published. While I'm far from being 'established' (whatever that means), it certainly means I'm no longer a total newbie. Which feels ever so slightly weird, as I still think of myself as a novice, pretending to be an author. Anyway, I thought I'd take this opportunity - as someone who can no longer consider herself a novice - to try and sum up what I have learnt over the last three years of being part of the world of children's publishing. 2. I have almost no control over whether my books do well or not - so I should just relax and maybe cross my fingers occasionally! 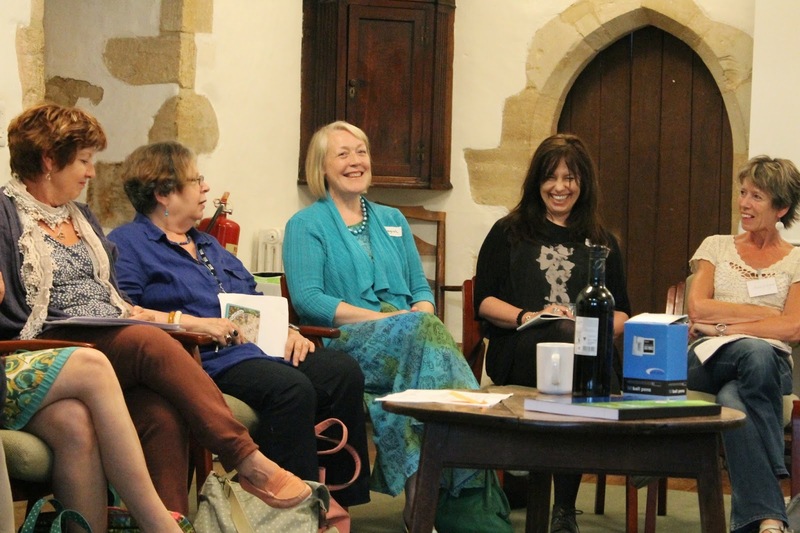 Being open to opportunities like school visit invites or festivals is fun and part of getting to know the publishing business - tweeting and face booking have been similarly good for getting to know other writer friends. And sometimes opportunities have come from that. But none of it has turned my book into a best-seller, and I don't think there's any magic way of doing so! 3. If I don't want to become mad and bitter, I have to try not to compare my book sales/prize nominations and festival invites with others - and must remember NOT to check the Amazon ranking of my books more than once a week! There is a great deal of luck and randomness in this business and then there are the unfathomable whims of publishers, reviewers and the reading public (Fifty Shades of Grey, anyone?). Generally (but not always: see aforementioned Fifty Shades) it's Very Good Books that get attention and prizes - equally there are thousands of Very Good Books that don't, and which category mine end up in (even if they were to be considered Very Good!) is mostly down to serendipity. 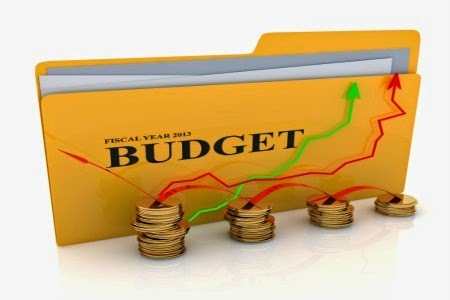 Oh - and marketing spend. Which brings me to no. 4. 4. Publishers put serious time, energy and money behind only a select few of the books they publish. These books are plastered all over websites, magazines, 'hot new trends' lists, twitter, reviews, front window billing at Waterstones and W.H. Smiths. In the absence of this push, you are lucky if your book ends up in a select few Waterstones branches, or garners an online review from a kind blogger. This is no reflection on the quality of your book - I've met too many other brilliant people with fabulous books who can't get them noticed to think it's entirely a meritocracy. Publishers are scrabbling to find the next Wimpy Kid or Hunger Games, and even they don't know what will trigger that response. Often it's something they have all roundly rejected as too dire to waste ink on (cough, Fifty Shades...) So they put money behind a few, and publish a hundred others in a kind of scattergun approach, in case any of them builds a following by chance. I've learned to treat having a book out as a bit like having bought a lottery ticket - whether it does well or not is as random as whether I win the jackpot or a £10 prize for three numbers. C.J. Busby writes funny fantasy adventures for ages 7 upwards. Her first book, Frogspell, was a Richard and Judy Children's Book Cub choice for 2012. The series is published in Canada by Scholastic and the UK by Templar and has been translated into German and Turkish. 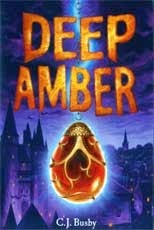 Deep Amber, the first of a new trilogy, was published in March 2014. 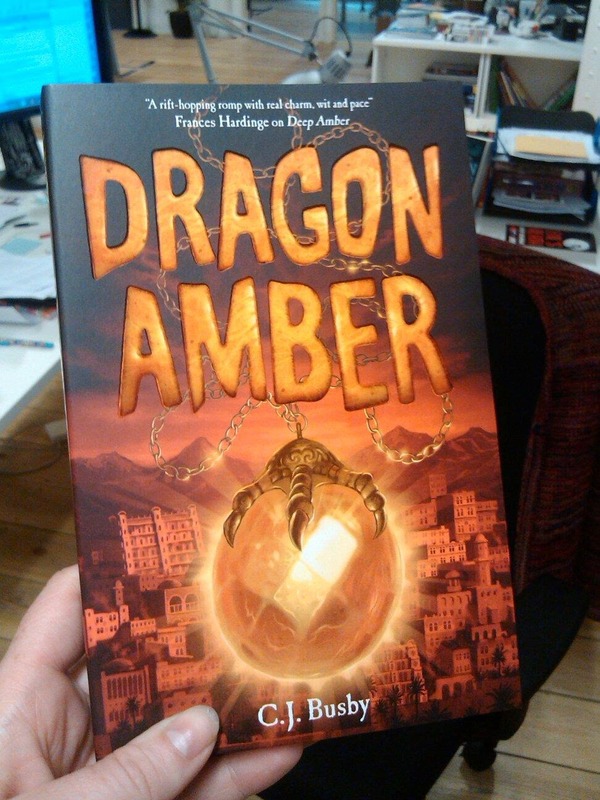 The second instalment, Dragon Amber, came out on 1st September. Nominated for the Stockton Book Award 2015. Seems to cover most situations! Wise words indeed! Thanks for sharing. This is definitely the best attitude to have! Wishing your Deep Amber book (& trilogy) every success. Good grief if I do my Maths properly you are amazingly prolific... all this since 2012! What am I doing? Sleepwalking? Yes I believe you do have to do a little dance when you first lay hands on your brand new book... because sometimes even the publishers forget a pub date! So cheers to all of us who aren't quite at The Hunger Games income level because without us the world would be bleaker. Imagine if there were no other books around but these mighty sellers! And all we had to feed our imagination was this handful of money-spinning mega-rockets. So I hope Deep Amber flies and touches all who read it. Thanks Di! Actually, I'm less prolific than it looks - my first series had problems with a publisher going bust, so by the time it did come out with a different publisher I'd written the first three books! And I do like 'so it goes' as a manta, although I think it's Kurt Vonnegut originally.